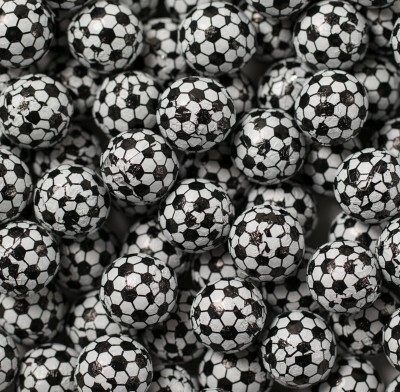 Soccer balls (foil wrapped) from Thompson, delicious milk chocolate balls wrapped in colorful soccer ball foil. Perfect for sports gatherings or any soccer fanatic. Kosher Dairy. Sold in bulk, delivered in a 5 lb. bag. 72 pieces per pound.